We manufacture and supply MDF skirting boards, architrave and other interior mouldings. Everything we produce is customised to your own preferred specification, and can be shipped anywhere in the UK. 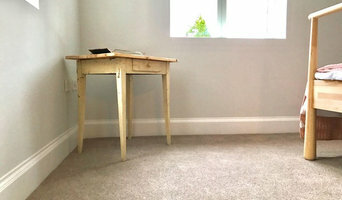 We are a leading supplier of skirting board covers- a highly innovative product that allows you to replace your old skirting boards without the hassle of removing what you already have. Rennew is one of the leading stockists and suppliers of both reclaimed and new natural building materials. We are centrally located in the heart of England and offer a nationwide delivery and collection service with crane off-loading facility if required. We supply builders and roofing merchants, reclamation yards, architects and specifiers, English Heritage and National Trust, as well as private renovators and home improvers. 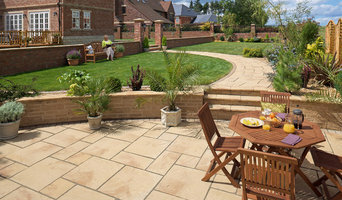 PriceMyMaterials is a website that connects people looking to purchase landscaping & building materials with suppliers throughout the UK. It is a free service for the public or trade to use. It can save hours of painstaking internet searching as merchants and suppliers simply reply and respond to your requirements. PriceMyMaterials also work with some of the finest manufactures and wholesalers in the UK to showcase their products. Structiv assists architects and designers and home owners in new uses of proven materials , high end interior design and furniture, and unique architectural design solutions. At IQ Industries our business philosophy is very simple, to provide Innovative, Inspiring, Interior Surface Solutions. Our joint venture partnership with our manufacturer partners such as Smith & Fong Plyboo Architectural Bamboo and Palm surfaces who have a passion and commitment to deliver the very best in Design led architectural surface solutions allow IQ to deliver the very best in sustainable design led products that excite and inspire. Based in Old Hill West Midlands, Oldfield Reclamations specialises in the buying and selling of reclaimed building materials including bricks, roofing tiles, slates, flooring , doors and fireplaces. With over 40 years experience in the reclaimed building materials trade, we carry a large selection of stock items and can generally source most things upon request. We generally cover the whole of the UK and also offer a local property clearance and demolition service. 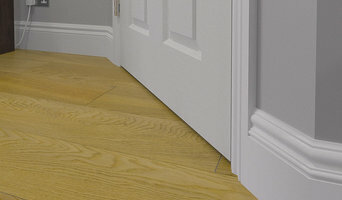 Skirtings R Us are specialist manufacturers and suppliers of made to order MDF skirting board, architrave and other moulding to trade and public customers, across the UK. We are price leaders in the industry, catering to both large and small requirements. Make sure to benefit from our competitive online quantity discounts. Safeway Scaffolding is a trusted scaffolding company in the West Midlands that has built an excellent reputation. The team works with individuals for small home scaffolding hire requirements. The company also specialises in large commercial and industrial projects for companies and local authorities across Birmingham and the Midlands. The ability to design bespoke scaffolding means the team never turn down a project. Why should I use Birmingham, West Midlands building merchants and timber suppliers? If you want to leave the building material selection to your hired contractor, architect or designer, then you probably won’t need to talk to Birmingham, West Midlands builders’ merchants, but it is a good idea to do so if you plan to be more hands on with your project. Timber merchants will be able to supply you with any wood materials you need for flooring, kitchen worktops, skirting boards, doors and more. The type of timber they can supply may depend on the supplier, but most will sell varieties of hardwood, plywood and softwood; suitable for a range of uses. If you’re after reclaimed building materials for a lived-in, vintage look, then plenty of timber merchants in Birmingham, West Midlands now offer reclaimed, salvaged or recycled wood for you to use as floorboards or wall cladding. If it all seems a bit overwhelming, Birmingham, West Midlands building merchants will be able to advise you on the advantages of choosing certain materials. 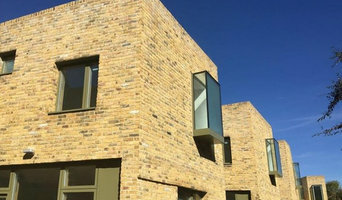 Or, you can rely on building contractors, architects and designers that may be working on your house project with you to advise or select your building materials for you. Here are some related professionals and vendors to complement the work of building supplies: Specialist Contractors, Landscape Contractors, Home Builders, Main Contractors, Design & Build. Find timber and building supplies on Houzz. Narrow your search for Birmingham, West Midlands timber merchants and builders merchants’ by selecting the nearest city or postcode. Find trusted building merchants and building suppliers in Birmingham, West Midlands with reviews from residential builders, interior designers and homeowners.